Twin helms and rudders for improved performance, a lighter weight cored hull for improved strength and insulation plus the Solent rig for ease of handling mark a new era in Hylas designs. 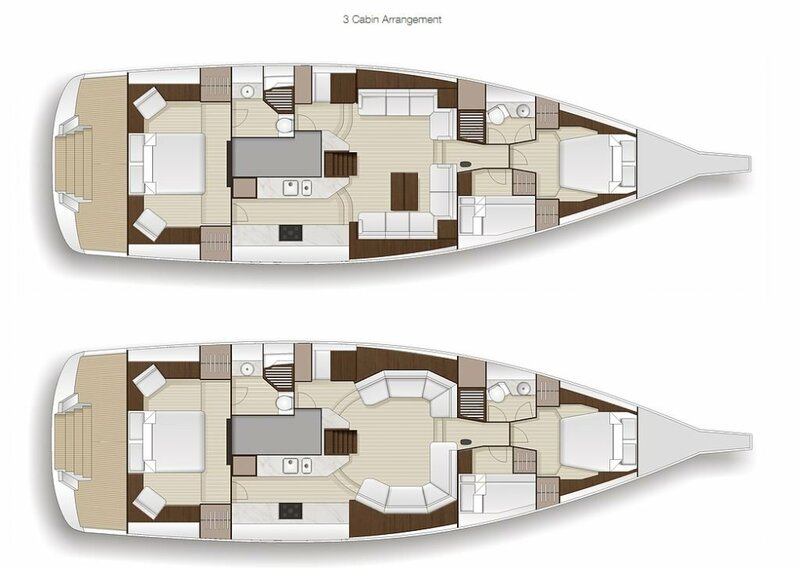 With a 3 or 4 cabin layout this yacht will meet the needs of live aboard couples or those planning extended cruises with friends and family. 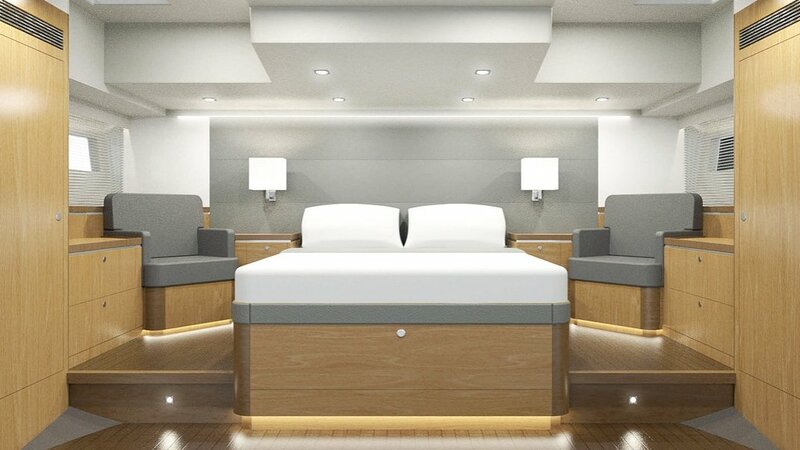 Primarily designed to be handled easily by a couple and fit the modern cruising lifestyle, this exciting new development stays true to the Hylas core competence of safely crossing oceans in comfort and style. 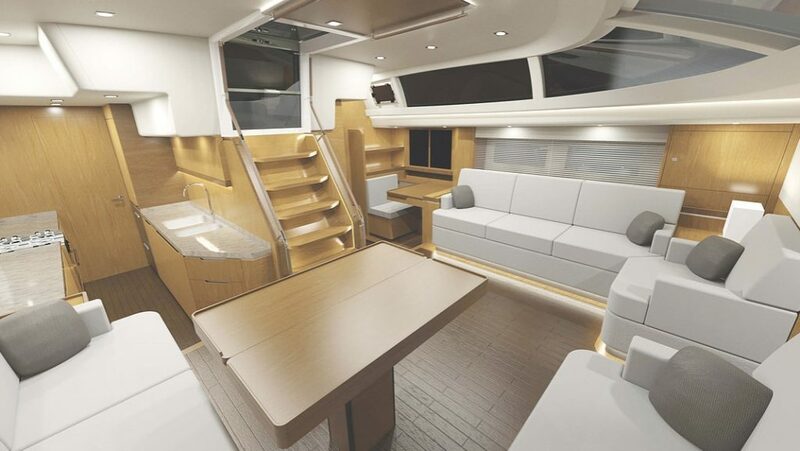 The Hylas 57 will impress even the most detail oriented yachtsmen and women. 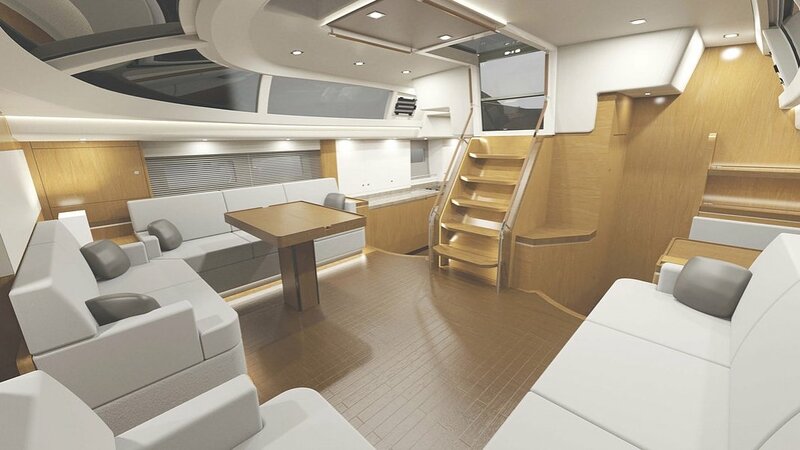 The wrap-around window, oversized port lights and a full 17” beam creates a Super yacht sense of space and comfort. From the integrated bow platform with a receiving rollers for twin anchors to the optional automated hydraulic transom this vessel perfectly blends form and functionality from stem to stern. The Solent rig with furling sails ensures the optimal sail plan is readily available on any point of sail. 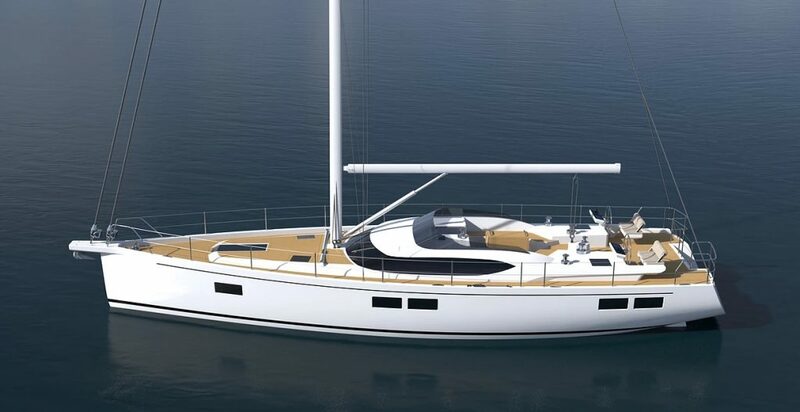 The integral bowsprit will carry an asymmetric spinnaker to supplement the reaching sail – optional secondary winches available. 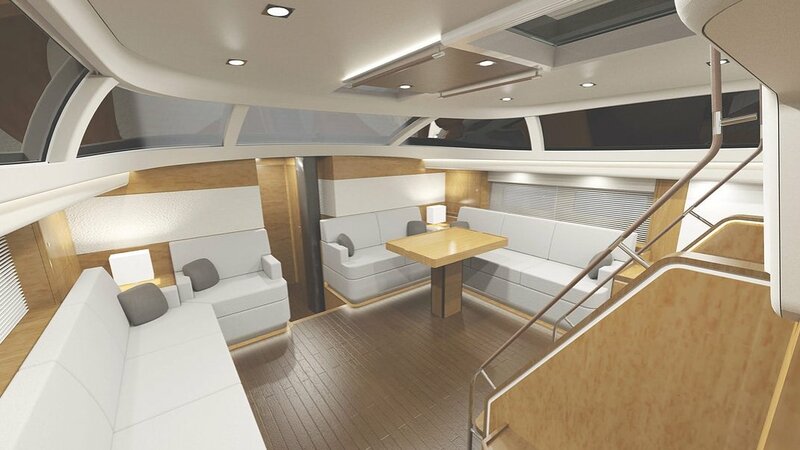 The cockpit seating and dining area provides excellent protection from the elements with minimal line handling in this predominantly social space. 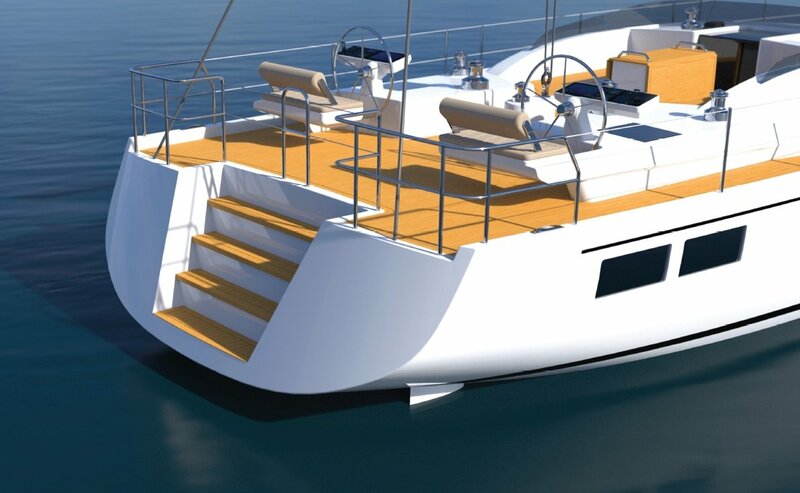 With a three or four cabin arrangement Hylas H57 offers great versatility and an ability to cruise with additional family, friends or professional crew. Customization is an important part of the Hylas value proposition. There is always a willingness to work closely with clients in creating an interior that reflects personal tastes. 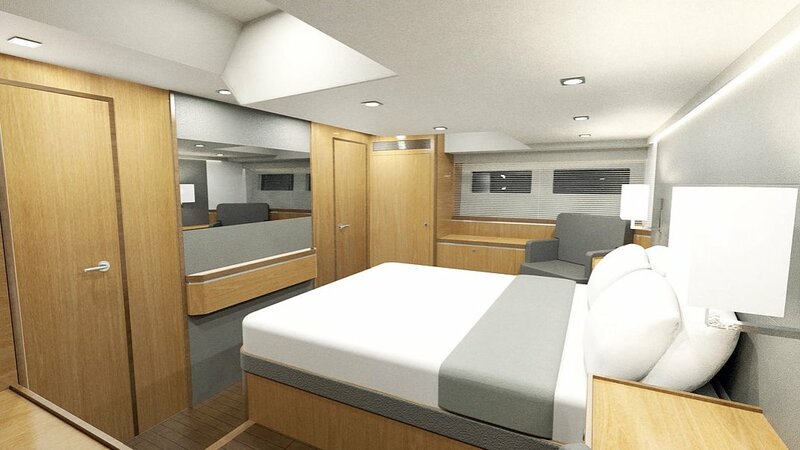 Dixon has worked hard to ensure the Hybrid cockpit with aft helm stations does not impact head room in the standing areas of the master stateroom. 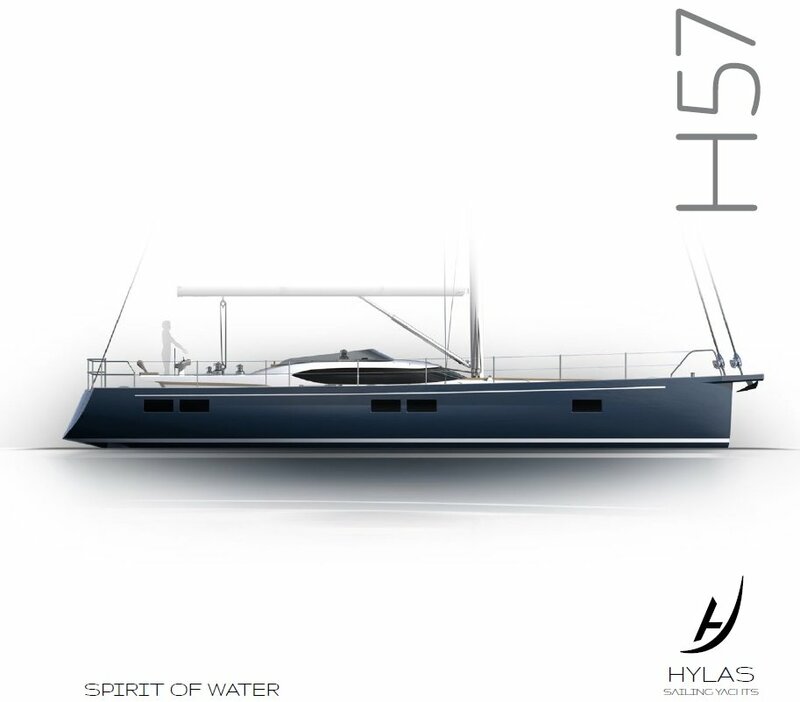 For further information about the Hylas 57 including e-brochures and price lists, please email us or complete the contact form below.